Imagine the end of a hard day: a pounding head, an aching spirit, and an incredible need to unwind. 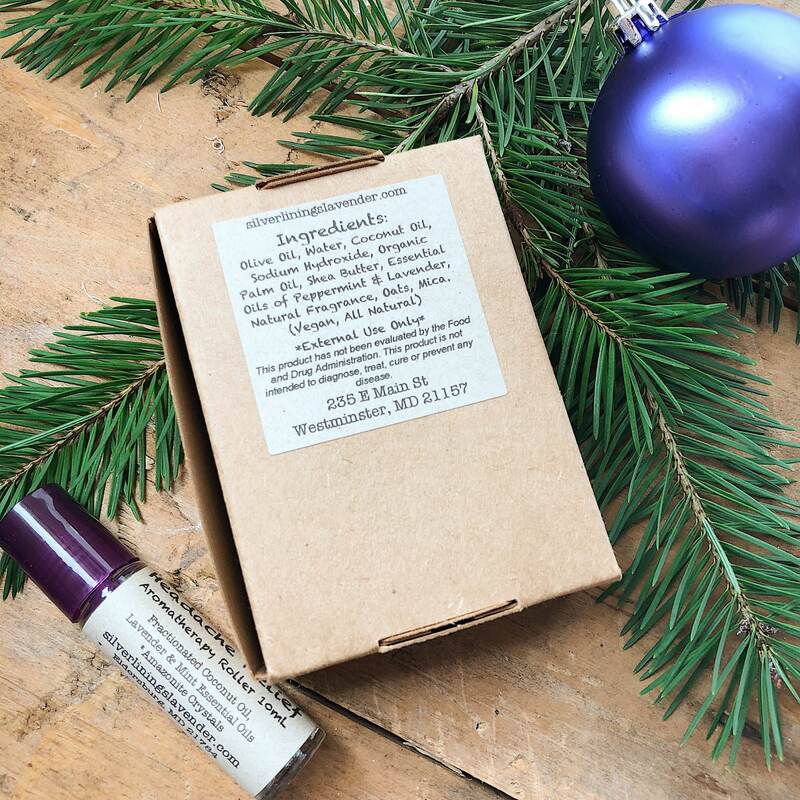 Now imagine the weight of it all being lifted from your shoulders: a steamy shower filled with the relaxing and tranquil aroma of fresh mint and lulling lavender. The tension melts away, and the problematic day’s residue of disquiet and distress washes right down the drain; leaving only a feeling of placid peace and serenity in its wake. 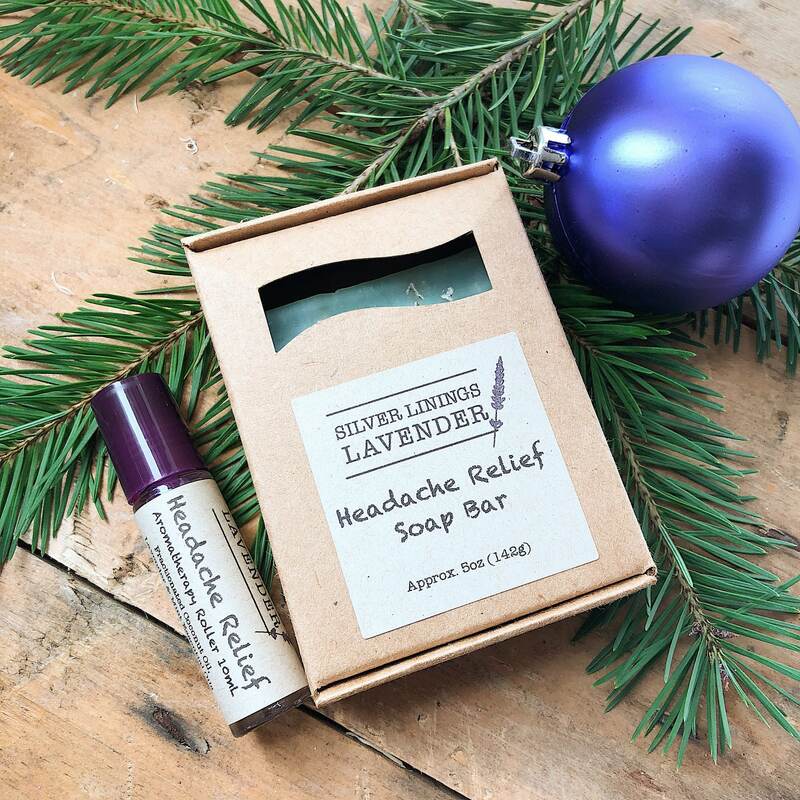 This is the harmonious calm that can come only from Silver Lining Lavender’s Headache Relief aromatherapy gift set. 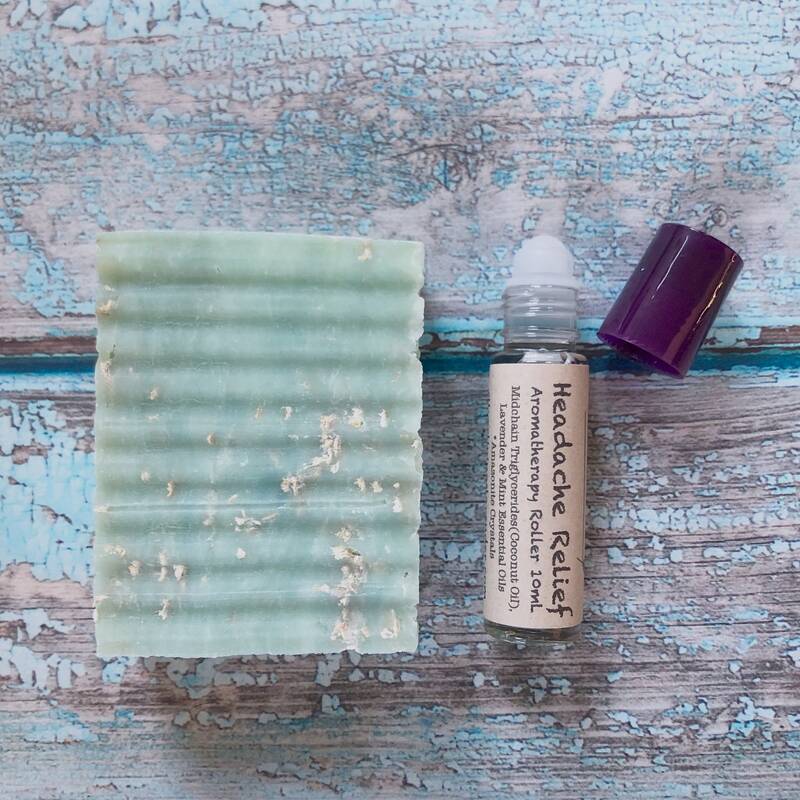 The fluffy lather of our meticulously hand-crafted, all-natural soap bar will wash away your worries; giving you those quiet moments of reflection that can seem so hard to come by. 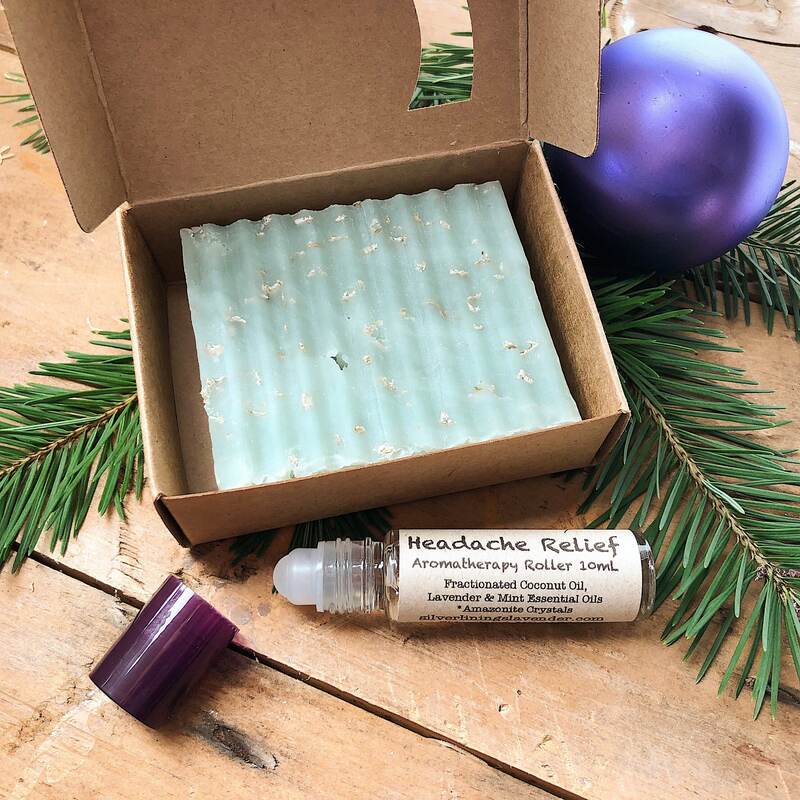 And for those tense times during the day when the tickings of the clock sound like the echoes of a cannon, our portable aromatherapy roller is just the thing you need for a break from the confining chaos of life’s stresses. The easily absorbed, skin-safe and non-greasy formula is made from the pure essential oils of mint and lavender; helping you to relax and re-center with a just a single, smooth application.